Everyone doesn’t need access to you. Some people are draining and they don’t even know it. 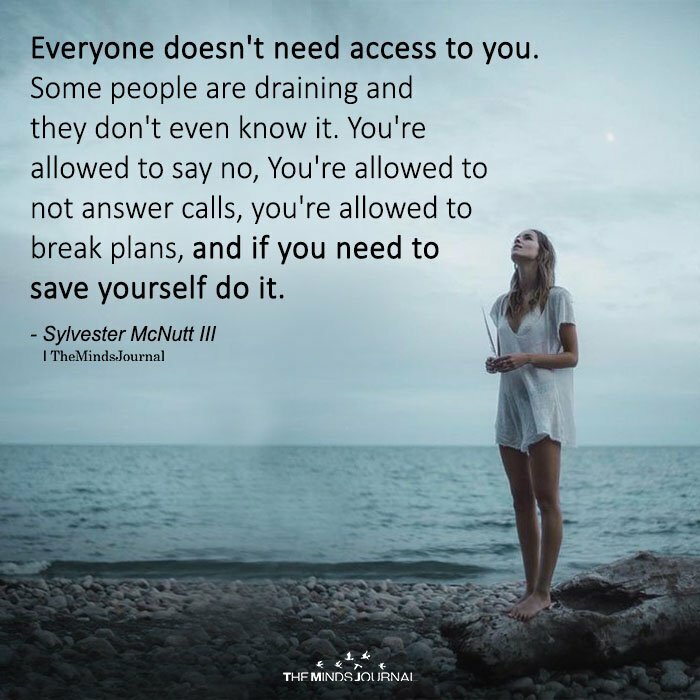 You’re allowed to say no, You’re allowed to not answer calls, you’re allowed to break plans, and if you need to save yourself do it.